The Internet of Things (IoT) is the Internet of Customers. It promises to evolve the way the world does business. However, understanding how to apply it to your company can be a mystery. Many businesses struggle with understanding the commercial uses or tend to get caught up in technology, resulting in solutions that fail to meet what customers are looking for. 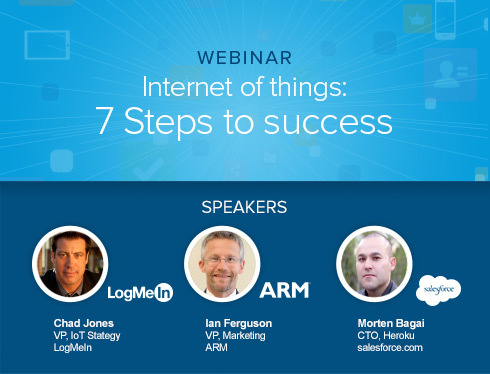 Join LogMeIn, ARM, Salesforce and Heroku for this webinar, where we’ll demystify what is needed to leverage the IoT to transform your business. We will show you how to get started from a business and technology perspective so you can quickly bring to market connected solutions that expand revenue, optimize operations and delight customers and users.